In a world where celebrities are anointed and dismissed by the shifting whims of the Twitterverse, it's easy to overlook the steady fires that keep the old traditions burning. 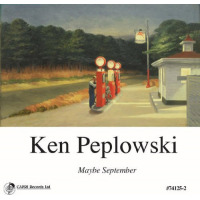 The retro cover of Maybe September instantly signals that, once again, the ever-superb reedist Ken Peplowski, aided by the invaluable Capri Record label, will be honoring and extending these traditions. But it's not just a matter of blowing the dust off forgotten antiques: he makes splendid and tasteful music out of any material, whatever its original era and style. The result is a record that comfortably embraces a serene classical sonata (Poulenc); the indelible American Songbook (Irving Berlin, Harry Warren, Duke Ellington); a famous clarinet blowfest (Artie Shaw); and a variety of beloved pop music icons (The Beatles, Elvis Presley, Brian Wilson, Harry Nilsson). The word "eclectic" comes to mind, but Peplowski is more selective than that: he's on a deliberate hunt for excellence, wherever and whenever it may appear. His art is melding such disparate elements together into a smooth and timeless whole. 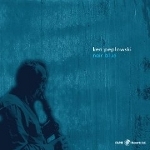 As part of Peplowski's "warts-and-all" approach to this music, he recorded Maybe September live to two-track, using a rare historic microphone to give a singular quality to his sound. The level of musicianship here is extraordinary, since these are all first-call players and leaders in their own right. They are also good friends who are clearly enjoying this relaxed and ego-free zone. All told, it's no surprise that it took just three hours to record the whole CD. The mood is set with the languorous opener, Berlin's plaintive "All Alone (By the Telephone)." CDs rarely open with ballads, and certainly not one from 1924. But this mix makes its own rules, serving up "Fool on the Hill" together with tributes to The Beach Boys and Dukes. Drummer Matt Wilson has a star turn on Peplowski's own "Always a Bridesmaid," which sparkles with humor all around. Bassist Martin Wind contributes a masterful combination of pulse and melody, laced with his own signature flashes of wit. Pianist Ted Rosenthal supplies consistently elegant underpinnings and commentary, coming out front on "I'll String Along with You," and anchoring its easy-going, loping swing. The CD highlight is the glorious title track, which could be the most beautiful version of "Maybe September" ever recorded (at least for instrumentals; it will always be hard to top Tony Bennett singing with pianist Bill Evans). But there's no question that this is a thoroughly excellent CD, with Peplowski & Co. playing so eloquently that they're practically verbal. Track Listing: All Alone (By the Telephone); Moon Ray; Always a Bridesmaid; (Now and Then There’s) A Fool Such as I; Romanza; Caroline, No; For No One; I’ll String Along with You; Main Stem; Without Her. 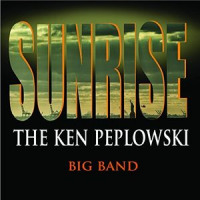 Personnel: Ken Peplowski: clarinet, tenor saxophone; Ted Rosenthal, piano; Martin Wind, bass; Matt Wilson, drums.